We all picture SW France for its beautiful scenery, vineyards, mountains and medieval villages… but dig a little deeper on your next visit for an amazing underground experience. Dotted around France are some wonderful natural caves and our region of the Country is no exception with some awe-inspiring wonders just a short drive from Mazamet. If you head towards Beziers, either by car or perhaps cycle along the Pistre Vert cycle path, you will come to the village of Courniou; right alongside the cycle path the Grotte de Deveze is a subterranean world where a guide will take you first deep underground and then climbing up into caverns buried in the hillside itself. 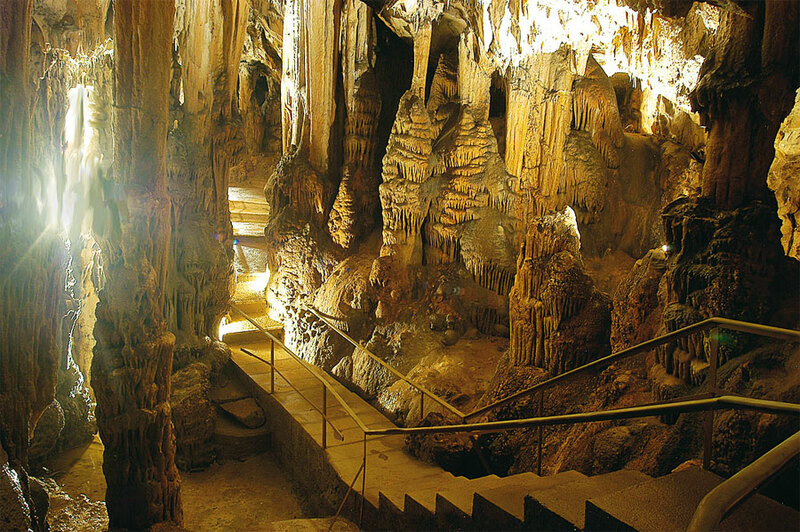 Discovered in 1896, whilst excavating the Mazamet-Bedarieux railways line; the Grotte de Deveze also has a small museum of speleology. Heading south of Mazamet, towards Carcassonne, there are two further cave systems. Unlike the Grotte de Deveze (which has narrow, natural pathways which can be slippery & steep), the Grotte de Limousis and the Grotte de Caprespine have easier access with man-made walkways. 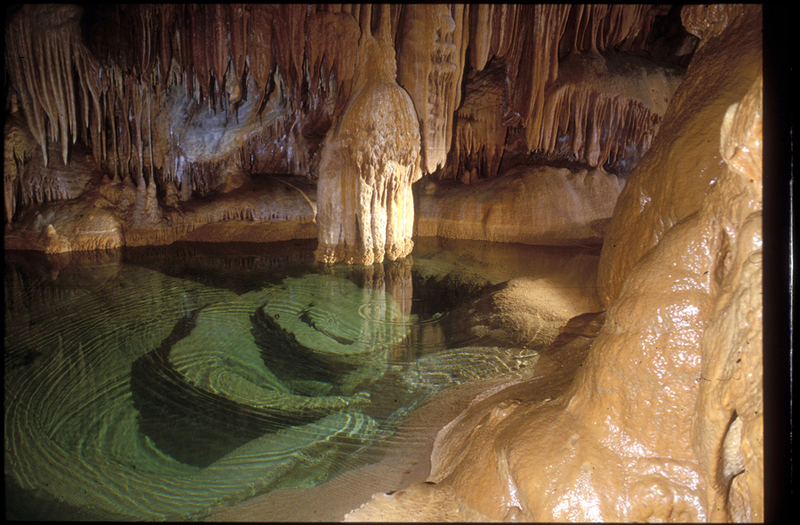 Limousis, discovered around 1811, is famed for its beautiful crystal formations and various chambers which each contain different natural features which, like most cave systems, are created over millions of years by water seeping through the layers of rock above. For us, the most spectacular grotte (again south of Mazamet and north of Carcassonne) is the Grotte de Caprespine – you walk in on the level from the entrance to find yourself in one huge cavern which is deep enough to house the Eiffel Tower! 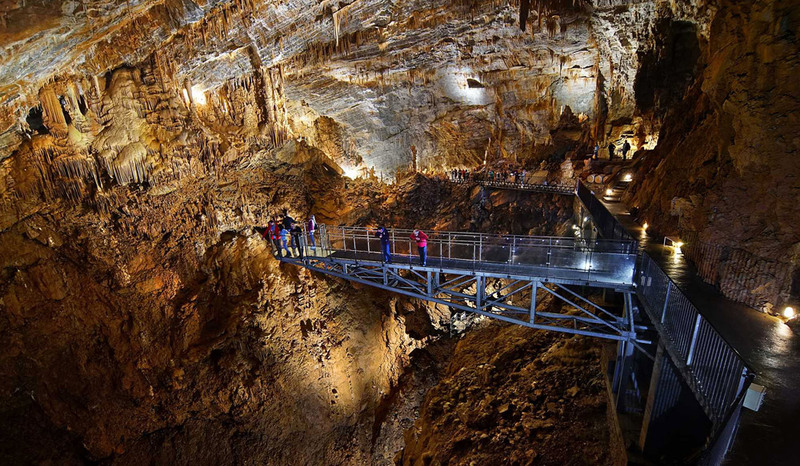 In 2015, a glass walkway was created which allows those wanting a closer look (but not for the faint-hearted) to walk out over this immense cavern. For those looking for even greater adventure, you can undertake an underground safari where guides take small groups to the very bottom of the giant cavern to explore the subterranean world and links to other caves under the Montagne Noire. During your stay at La Villa we have leaflets on each of the caves which are open throughout our season.